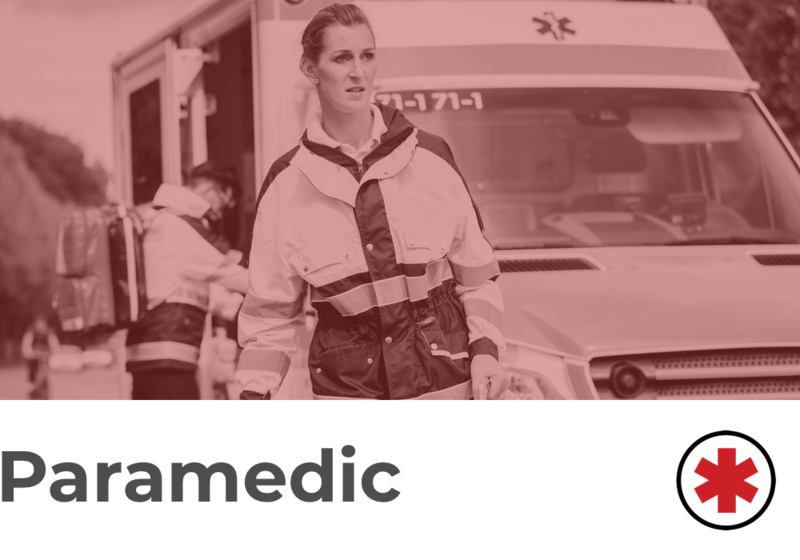 Paramedics are the highest level of responders in the field of emergency medical services. They also go through the most training. As a paramedic, you are able to practice at all levels of pre-hospital care, including basic first aid, CPR, and IVs. You are trained to utilize all necessary medical supplies, including automatic and manual defibrillators, administer medication, and provide transportation by ambulance or helicopter. Your paramedic’s license must be earned at the certificate or associate degree level through the completion of a nationally accredited paramedic program. Paramedics often work together as a team, splitting responsibilities between transportation and patient care. Other opportunities for paramedics include emergency helicopter flight crews and emergency services managers, supervisors and directors. Paramedic tasks, responsibilities, and types of certifications can vary from state to state. Start your career as a paramedic today. EMS Career Now will help you get started. Fill out our application and request information from one of our featured EMS schools, at no cost to you. Land your dream career and start building your educational foundation as a paramedic today. To learn more about the industry and becoming a paramedic, make sure to review our common career questions.